Online Blog Pro is a new theme so you install it by uploading the theme zip to WordPress (Appearance > Themes > Add New > Upload Theme). 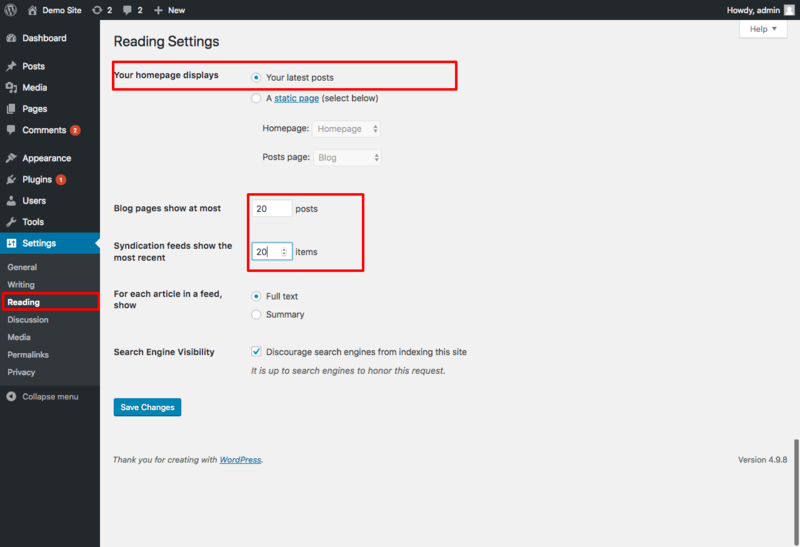 You won’t lose any of your content (posts, pages etc) when you activate it. In short, it is a full-width dropdown menu in a navigation bar. Go to Appearance > Menus, make sure you are editing the primary menu. Click on Screen Options button located on the top right corner. Tick the box of CSS Classes. To display posts of a category in the menu, add a category into the menu. 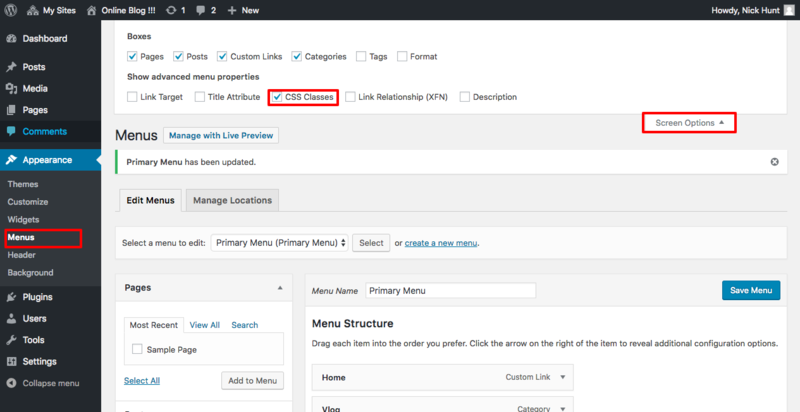 Then click on the category item in the menu, enter “mega-menu“ into CSS Classes field. 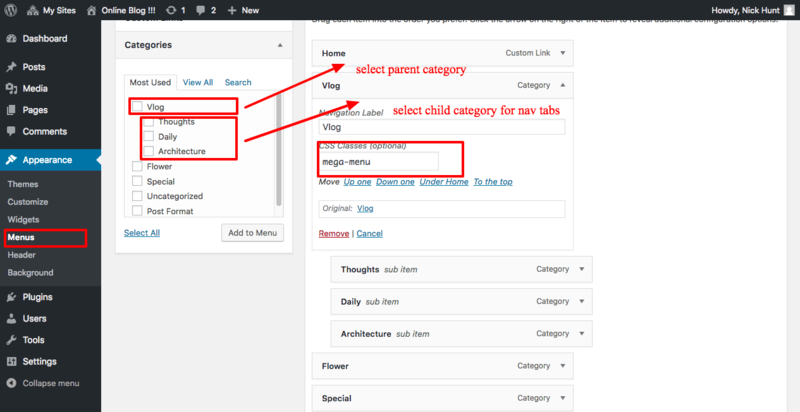 To display sub nav items in columns, just add items into the primary menu, drag and drop to create multi-level menus, then click on the parent item, enter mega-menu into CSS Classes field.